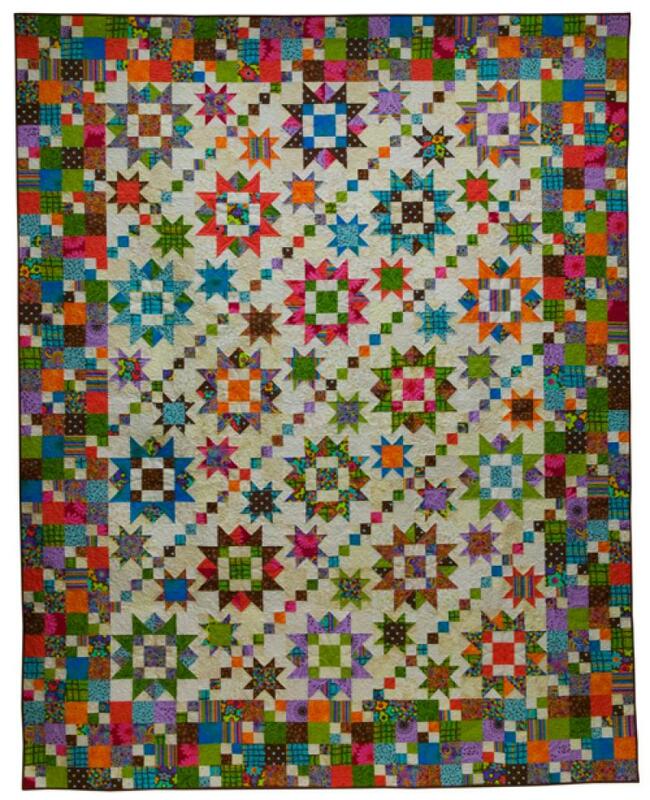 This great quilt sparkles and shimmers just like the Milky Way. You'll need an assortment of 18 Dark prints. Remember that Dark is relative. Your Dark prints could be pastels or brights! They just need to contrast with your Background. Select the Dark prints from 3 or 4 color families. Some variation in value in your Dark prints will add interest. You'll also need 9 different Background prints. Keep your Background prints fairly close in value.